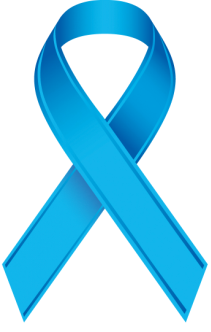 April is recognized nationally and locally as Child Abuse Prevention Month. Geauga County Job and Family Services (GCJFS) is the county agency designated by law to provide for the care, protection and placement of abused, neglected, and dependent children in Geauga County. Prevention is the best hope for reducing child abuse and neglect and improving the lives of children and families. Strengthening families and preventing child abuse requires a shared commitment of individuals and organizations in every community. The Social Services Division of GCJFS investigated 576 reports of child abuse or neglect in 2018. These reports came from every area of the county and from all kinds of households, regardless of family income or education. 576 pinwheels will be displayed at Junction Auto at the intersection of Routes 44 and 322, during the month of April. Each pinwheel represents an investigated report of child abuse and neglect in 2018. Geauga County Job & Family Services extends its sincerest thanks to Junction Auto for once again partnering with us during the month of April. Junction Auto will donate $50.00 for every car sold during the month of April to GCJFS. Reporting child abuse is an important step toward stopping it. Anyone suspecting child abuse has the right and responsibility to report it. The following is helpful in making a report: name, address, DOB, phone number, relationship to child, how did you learn of this, a description of the suspected abuse and when it occurred, immediate safety concerns, any known past history and your relationship to the child. Although this information is helpful it is not necessary in order to make a report, the important thing is to call as soon as you can. Anonymous reports are accepted. Please make reports to 440-285-9141 or after hours at 440-285-5665. Wednesday, April 10th is National Wear Blue Day! Blue is the color chosen to represent child abuse prevention to show your support for families that have been touched by child abuse and individuals that work with abused or neglected children.